Last Friday, we had a wind gust sweep through Hampton Roads and with that one lone gust of 65+ mph winds, we lost power here at the Ringer Ranch (as did 307,000 other households in Hampton Roads). Next, I picked up my cell phone to call my daughter Crystal. Apparently, the cell towers were overloaded. I could neither make nor receive phone calls. Those little cell phones we all love so dearly are actually radios, operating on less than one watt (and sometimes as low as .3 watts). 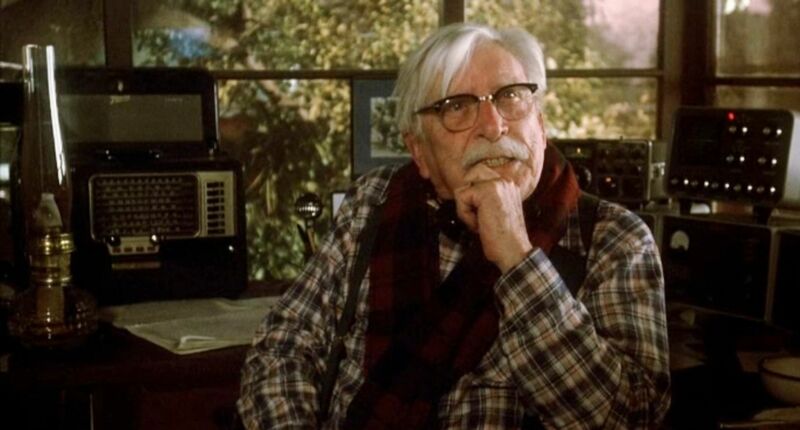 But this technologically advanced system of communication has a big downside: It’s very fragile. During a storm, cell towers can be damaged. When too many people use their phones, the system can get overloaded. During a crisis, the government has a legal authority (and ability) to commandeer cell phone towers or even cut them off (as happened with the Boston bombing). Communications - especially in times of emergency - are so vital. How can we reach people when power is down, phone lines have fallen and cell phones aren’t working? Field Day provides live demonstrations of Ham Radio in countless cities throughout the country and specifically, here in Norfolk (at Tarrollton Park on Tarrollton Drive). This is a nationwide event, and thousands of experienced Ham Radio operators will be involved, and all will be eager, ready and able to answer any questions you might have. The raison d’être for “Field Day” is to help amateur radio operators hone their emergency communications skills. In other words, we’re training and practicing to help you when things get rough. In 2003, my elderly father lost phone service and power during Hurricane Isabel. We had no way to contact him. Had I known about the availability of Ham Radio, I would have eagerly sought out an experienced ham radio operator and asked him/her to relay a message to Portsmouth, and check on this 83-year-old man who’d already had three severe heart attacks. The American Radio Relay League (also known as the ARRL) is the largest organization of radio amateurs in the world (with 160,000 members). And the title above (”When All Else Fails”) comes from ARRL. Want to see how this all works? Drop by Tarrollton Park (in Norfolk) on Saturday or Sunday and learn a little bit about what Ham Radio is all about. 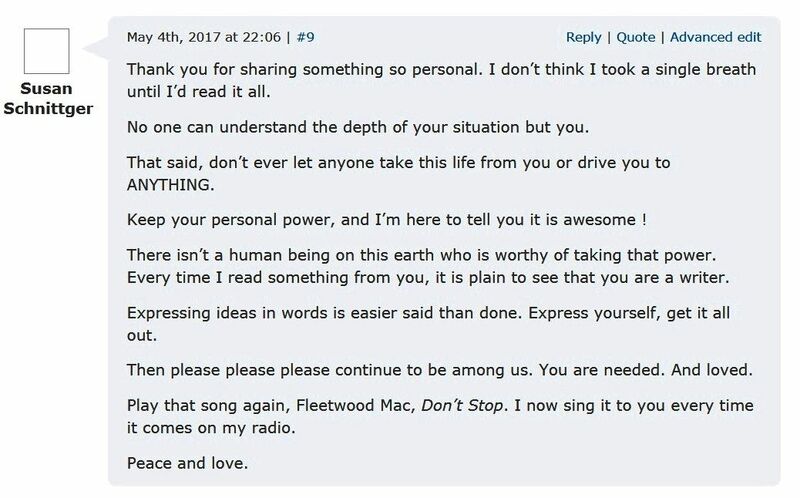 If nothing else, we’re good people to know. Just in case. Two years ago, I became a licensed ham radio operator, thanks in part to this movie, "Testament." Since then, I've obtained my "Extra" license (the highest level) because I believe that being able to communicate in times of emergencies is vital. 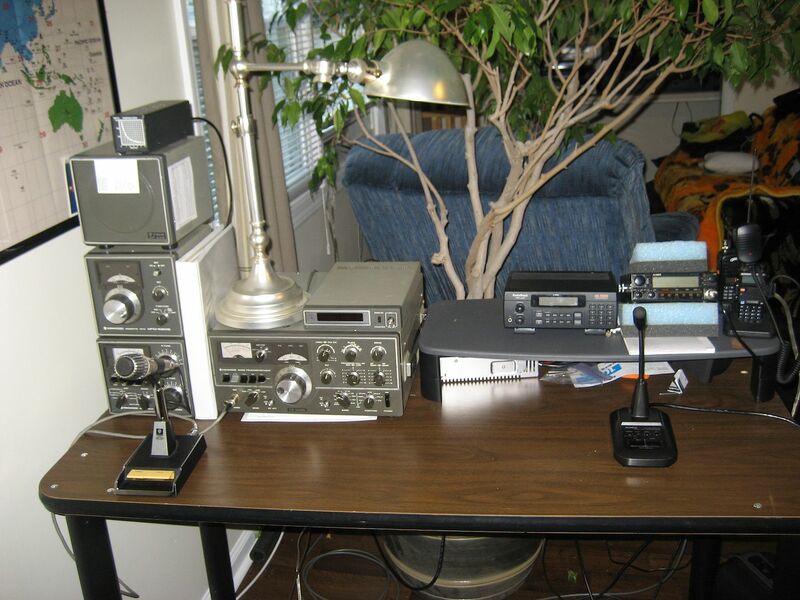 One example of an awesome vintage ham radio set-up (from the 1980s). 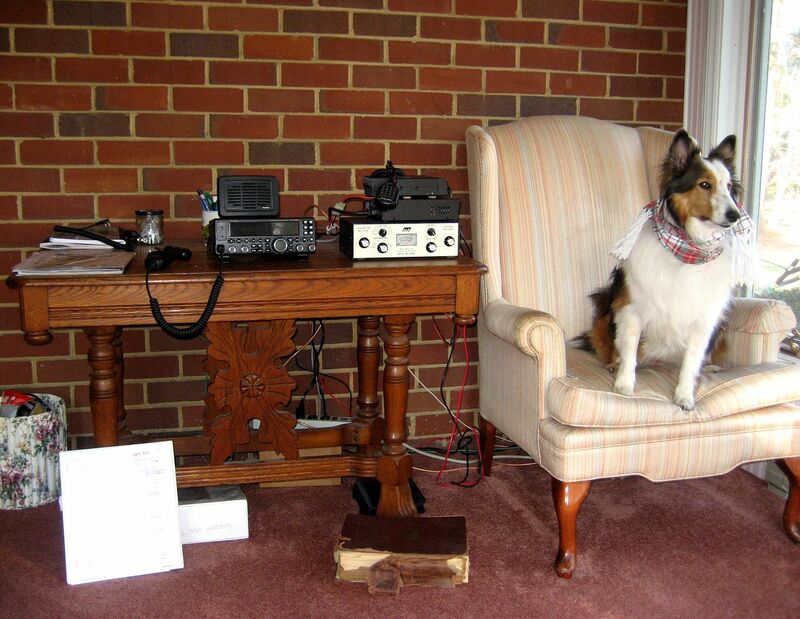 My set-up is so simple that even a Sheltie can operate it! 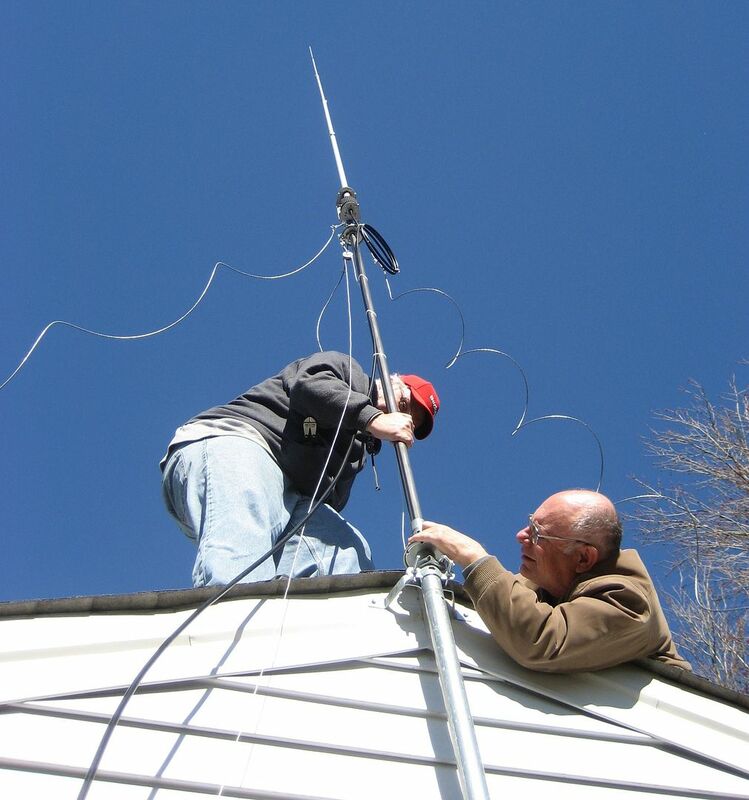 Okay, maybe not, but if she had opposable thumbs, that'd help. .
Jim and Milton (fellow hams) install a new antenna. 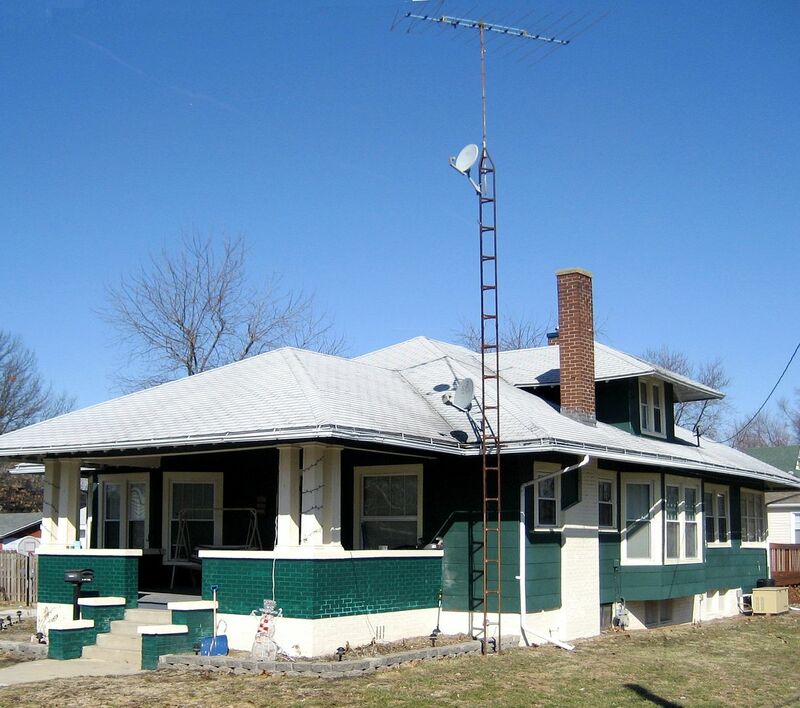 Ham radio antenna mounted on Sears kit home ("The Avondale) in Litchfield, Illinois. When times get rough, the people who have these antennas in their yard will be your new best friends. But not all antennas are visible from the front yard. To learn more about the movie Testament, click here. A Fine-Looking Sears Avondale In Chelsea, Oklahoma! Chelsea, Oklahoma is a wee tiny town about an hour from Tulsa, and for decades, a big fancy Sears Saratoga got all the attention as the only Sears House in town. Recently, I’ve been working with Rachel Shoemaker to identify more Sears Homes in the area, and while “driving” the streets of Chelsea (via Google Maps), I found this beautiful Sears Avondale tucked away on Vine Street (about a block away from the Saratoga). 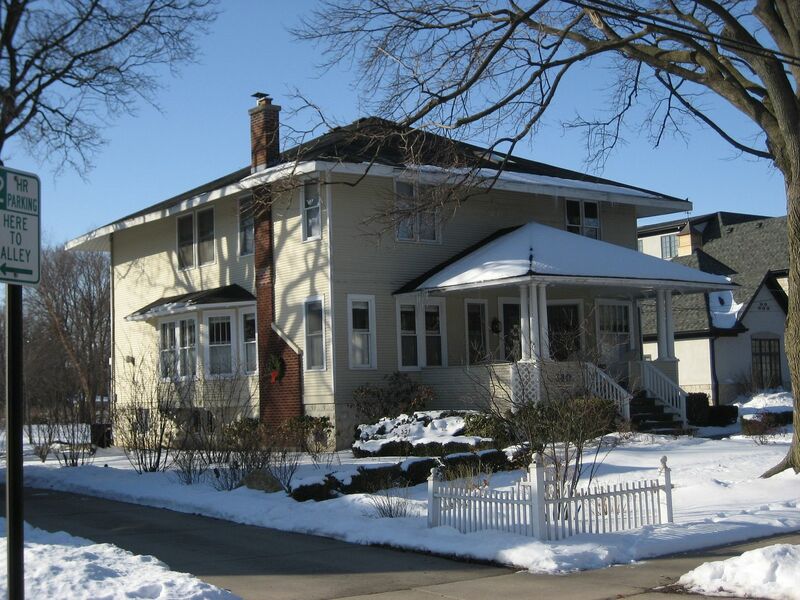 Rachel hopped in her car and ran right out to Chelsea to get good photos (shown below), and as we continue to work together on this project, I’m sure we’ll find many more Sears Homes in the area. 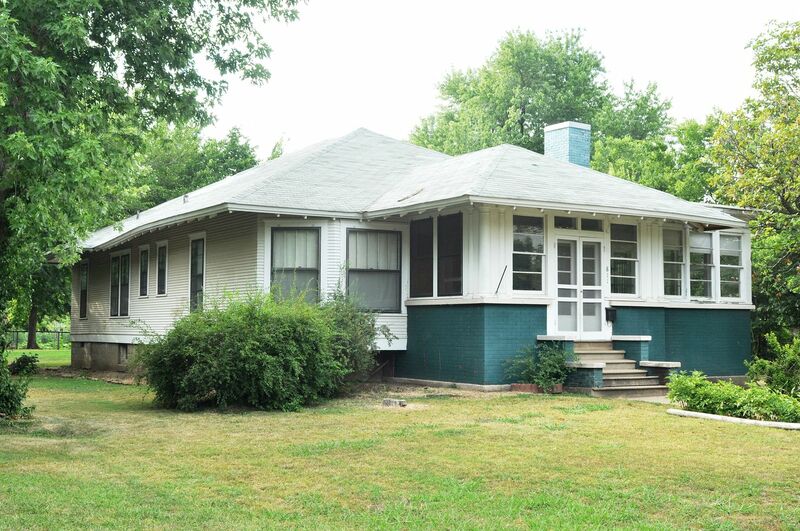 Click here to see the Sears Homes we found in Tulsa! 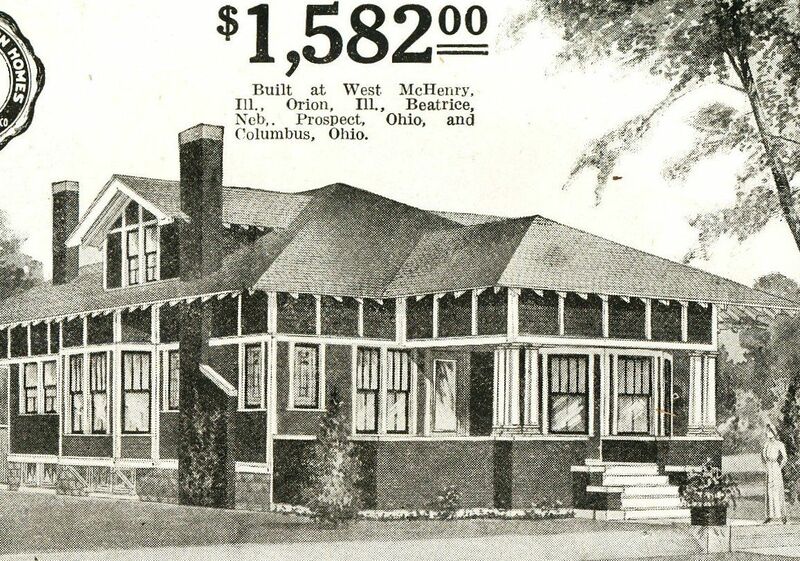 The Saratoga was a big fancy Sears House, but the Avondale was a close second! 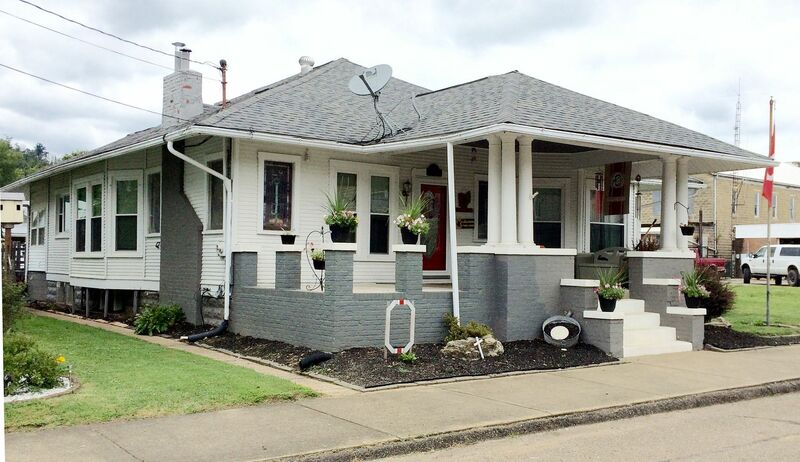 This house was a classic bungalow with a decided prairie-style influence. 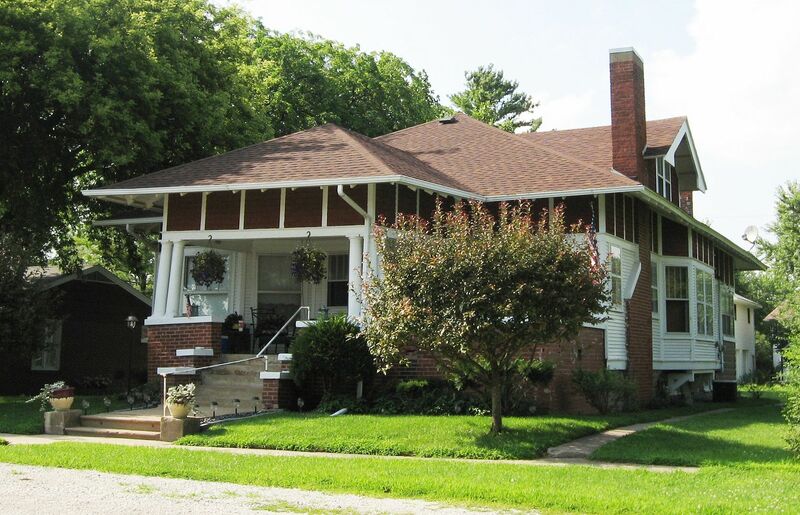 Look at the oversized eaves and low hip roof. What’s even more interesting is that the Saratoga got all the press as being the FIRST Sears Home in Oklahoma, but was it? 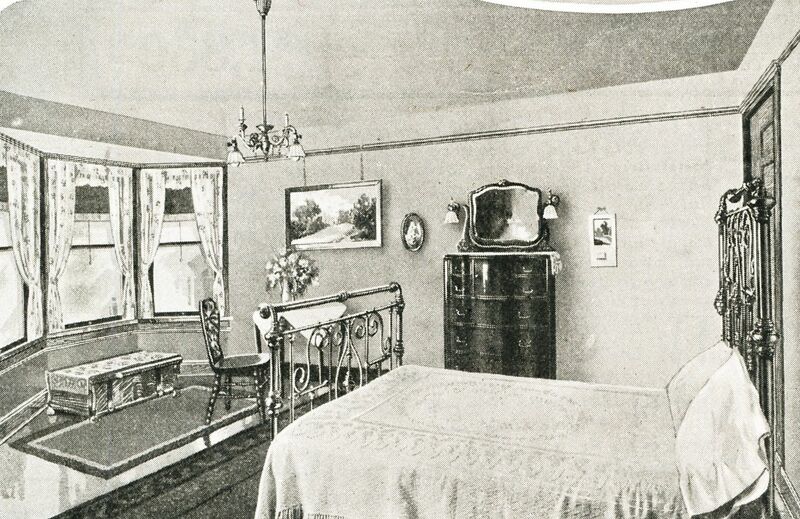 The Avondale was also offered in 1912 (when construction started on The Saratoga). 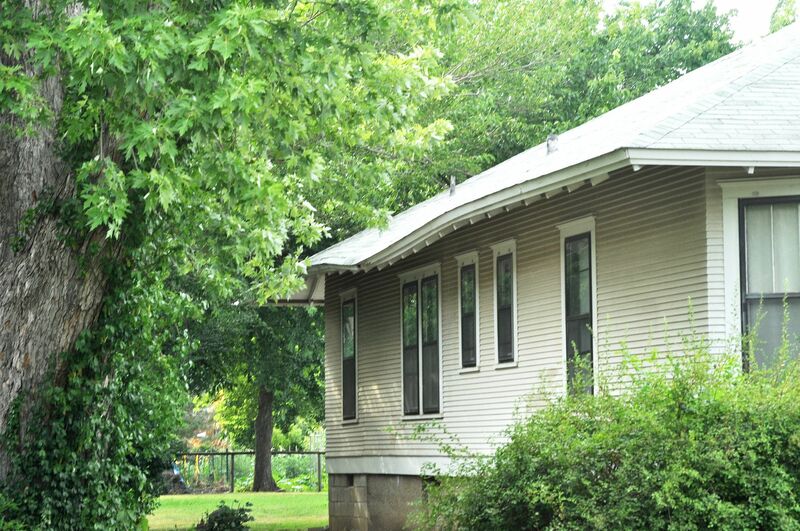 What if the Avondale was actually the first Sears Home in Oklahoma! Enjoy the pictures below. And if you know of any Sears Homes in Oklahoma, please leave a comment below. To read about the Sears Saratoga, click here. 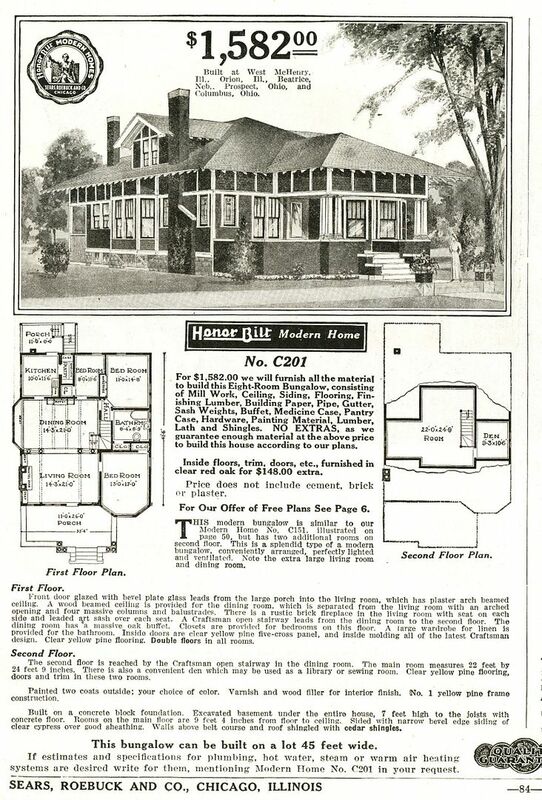 Catalog picture of the Sears Avondale (1919 catalog). 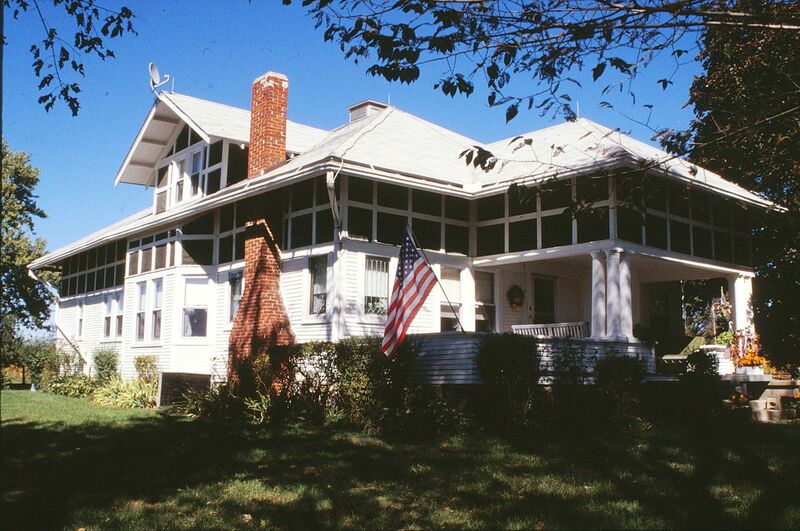 The Avondale was a beautiful house and had many upgrades available, such as stained glass windows in the front rooms. 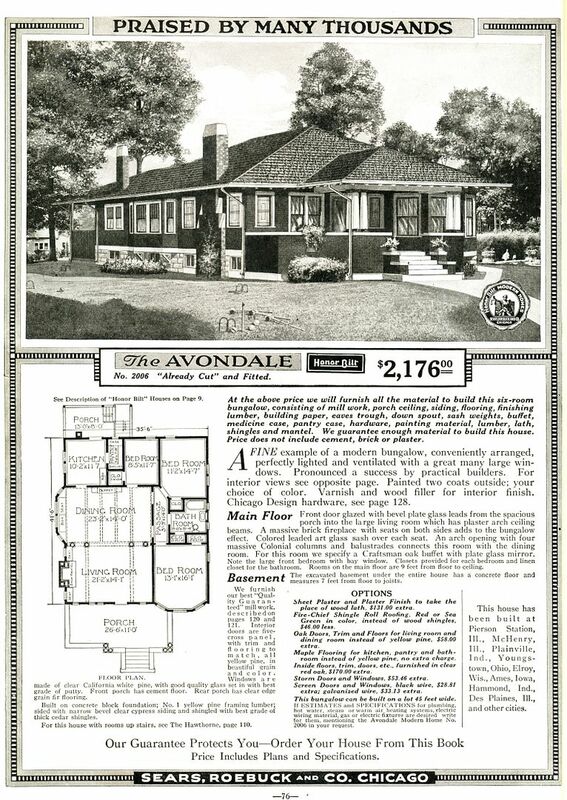 The Avondale was built the Illinois State Fair (late 1910s) and furnished with items from the Sears Roebuck catalog. 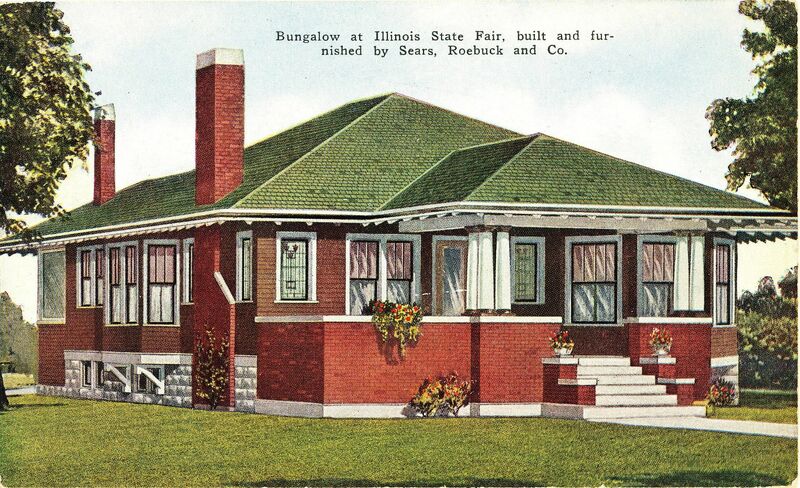 This post card shows the Avondale at the State Fair. Note the stained class windows on the front and flanking the fireplace. Nice house, and popular too. 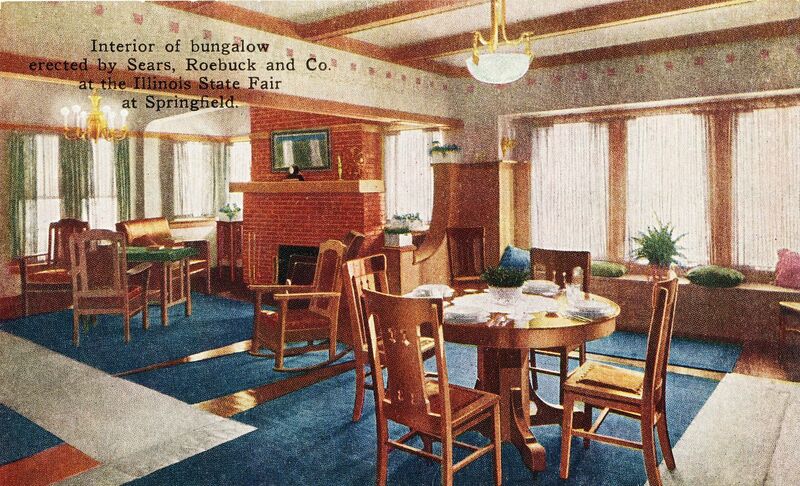 Another post card shows the interior the of the Avondale. Pretty darn fancy. 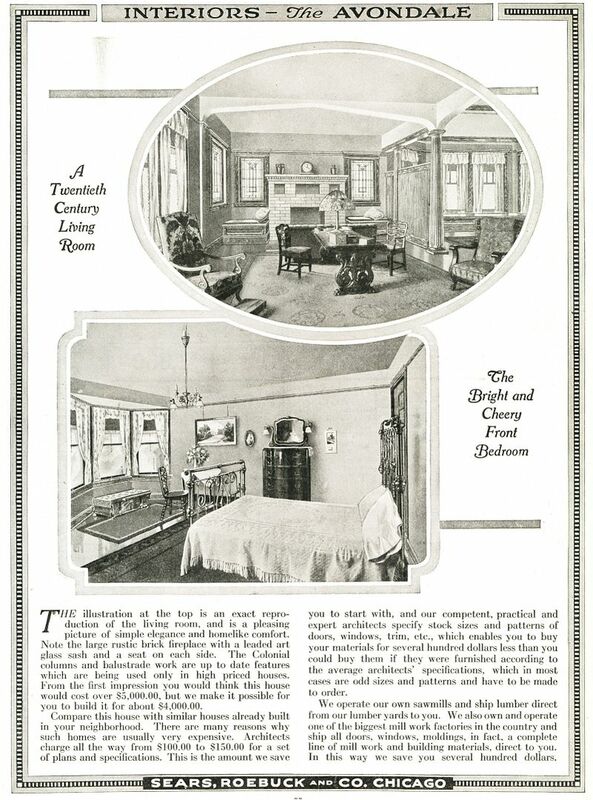 Catalog page also shows interior views. 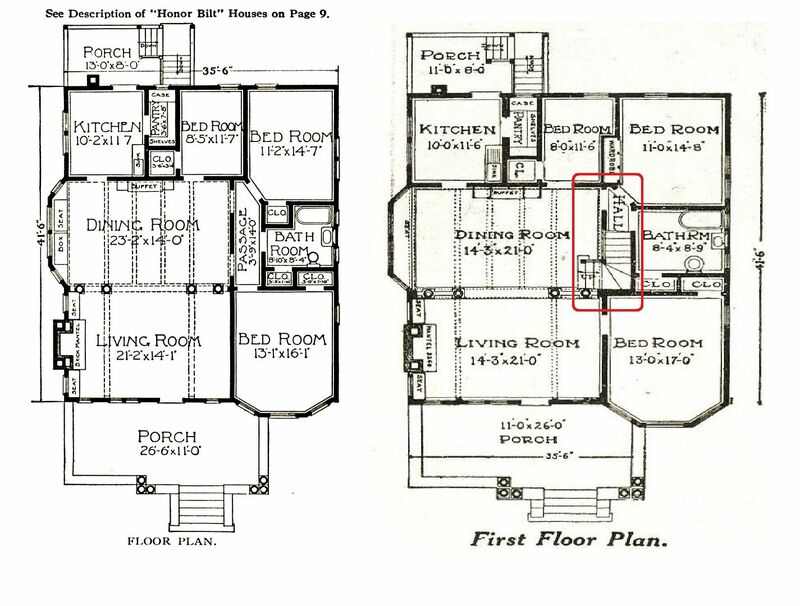 Floorplan shows how spacious this house was. 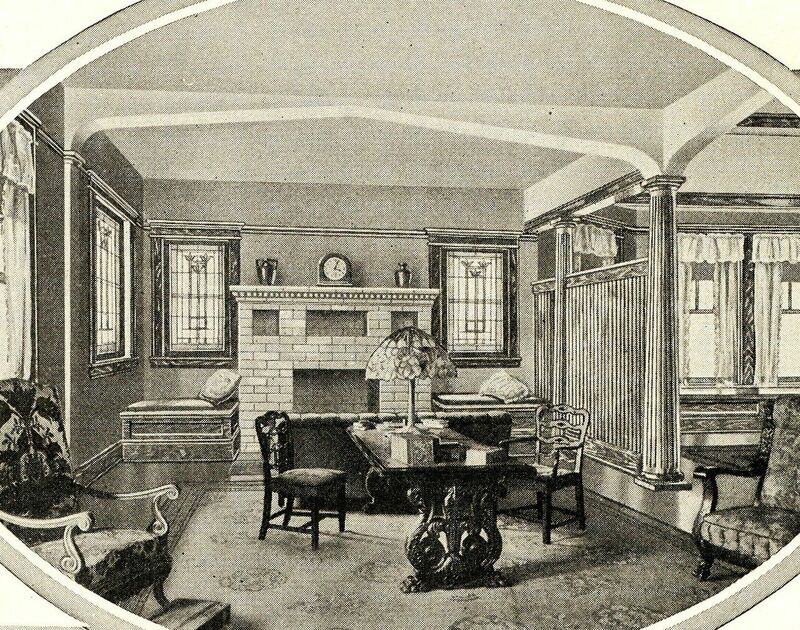 The dininr room was 23 feet by 14 feet, with a bay window. 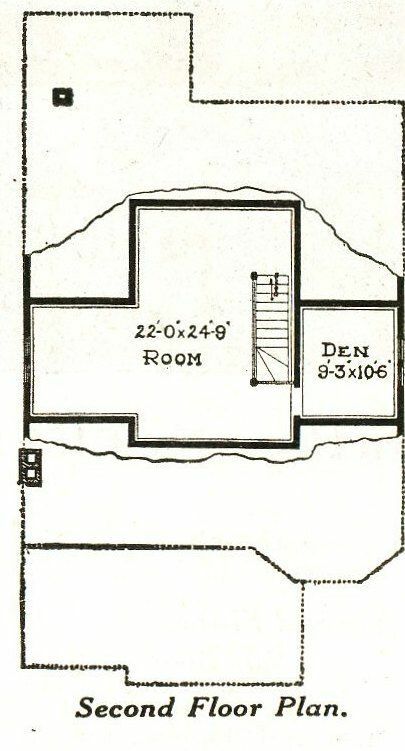 The front bedroom was 13 by 16. 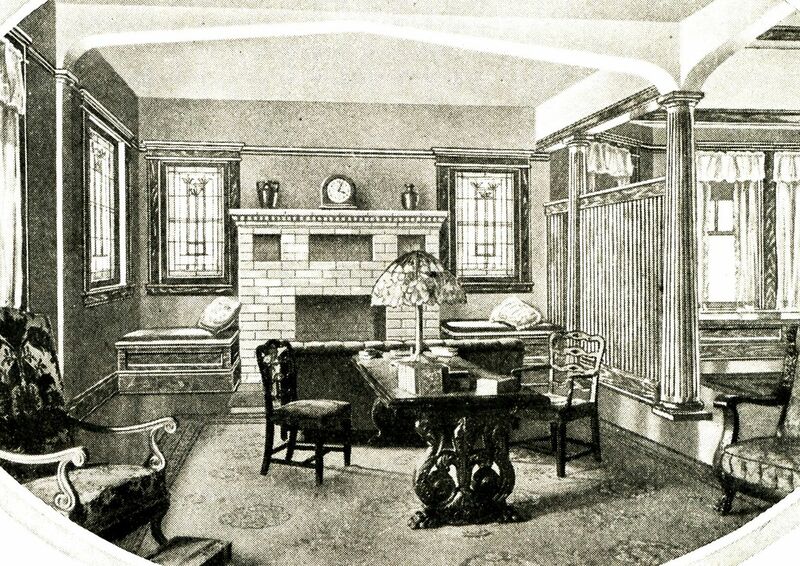 For a house of this vintage, these were very large rooms, or in the idiom of the day, "quite commodious." Sears Avondale in Chelsea, OK. Was this the first Sears House in Oklahoma? It'll be fun to find out! Close-up of the unusual window arrangement down the side. 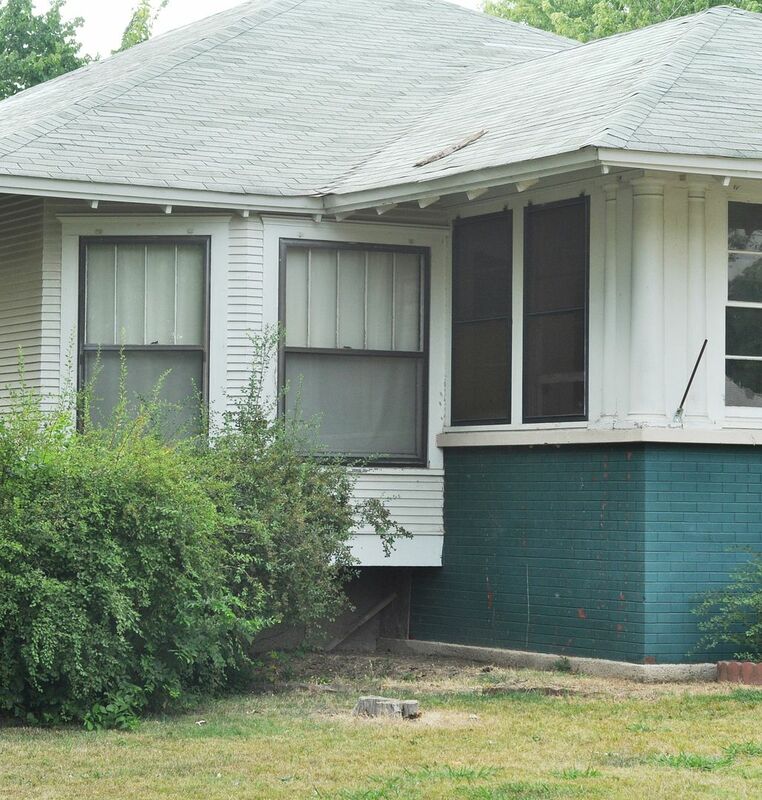 Close-up of that disinctive bay window, and the grouping of three porch columns on the (now enclosed) front porch. 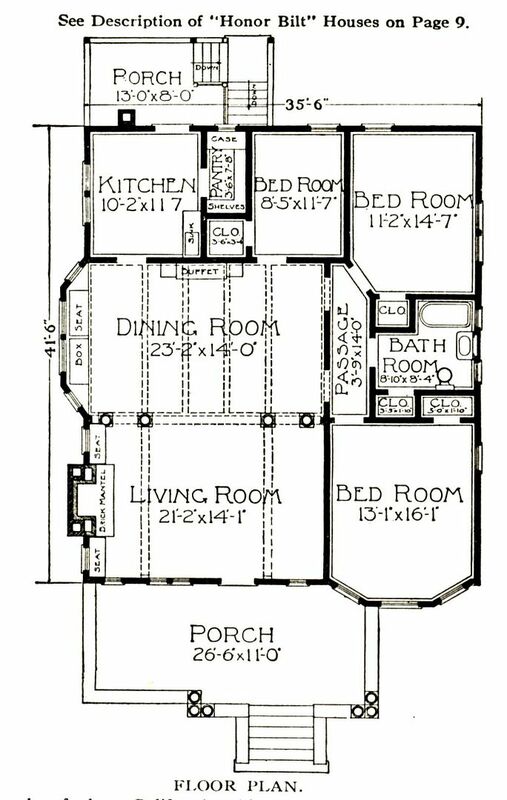 To read more about kit homes in Tulsa, click here.